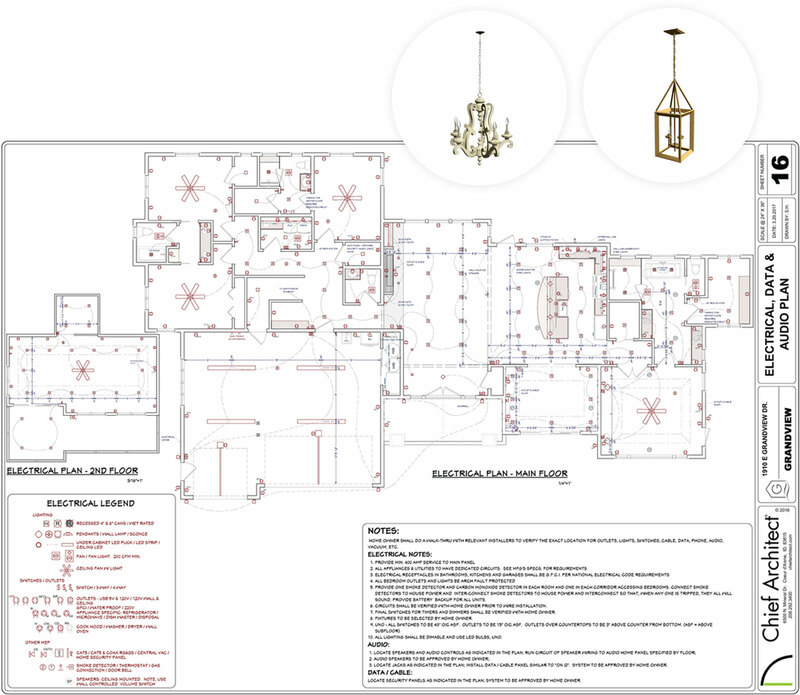 Chief Architect creates easy to use software for interior designers. 3D renderings, wall elevations, and detailed floor plans will help you to provide client options and detailed drawings for installers. 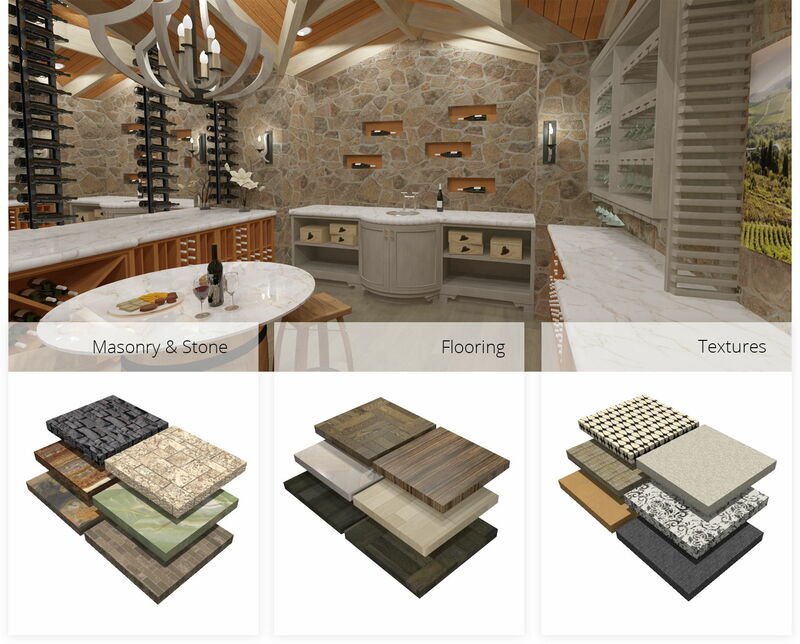 You will find a wide variety of colors, materials, and textures from name brand manufacturers as well as thousands of furnishings in our 3D Library. Importing the latest trends in fabrics, tiles or flooring is an easy process to create an exact look — and best of all, you can share your interior designs with your clients using our 3D Viewer app. 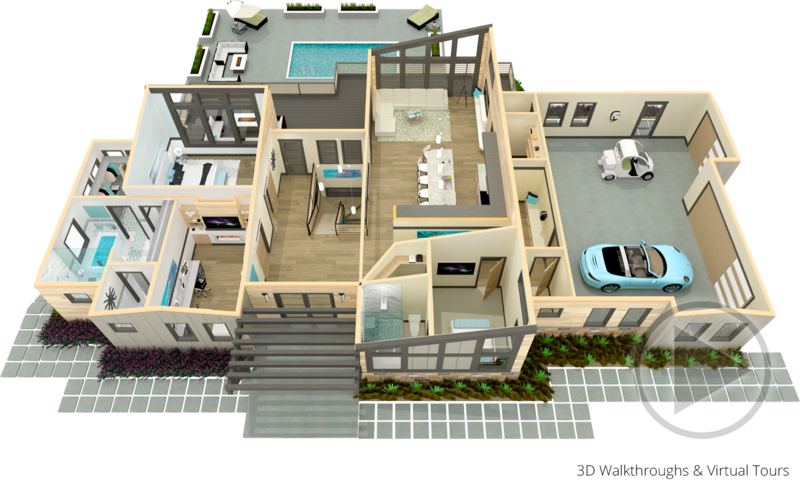 The 3D Viewer enables your clients to virtually tour your entire model from their tablet, phone or web browser. It's fun and engaging. 3D Rendering is often the key to selling your design concepts. Chief Architect provides some of the most realistic 3D rendering technology built into its design software — so there's no need for separate 3D rendering software. Sometimes a 3D render may be too realistic for your clients and you want to focus on design concepts and not materials. That's why we offer ten different rendering techniques ranging from a line drawing sketch to a watercolor render to fit your desired style. Any interior design can be exported as a 360° image, a virtual tour, or a 3D model for use in the free 3D Viewer app. Watch our kitchen design time‑lapse and virtual tour to see our interior software design in action. The best interior designs often begin with space planning. It's easy to create scaled floor plans with Chief Architect Premier and Chief Architect Interiors. With a Space Planning Assistant, you can place, size, and arrange rooms. When you are finished, you can convert the shapes into a floor plan that is ready to be dimensioned and decorated. When you begin the interior design and decorating process, you will find the latest materials and furnishings in our 3D Library — and you can easily resize furniture for exact room sizing. 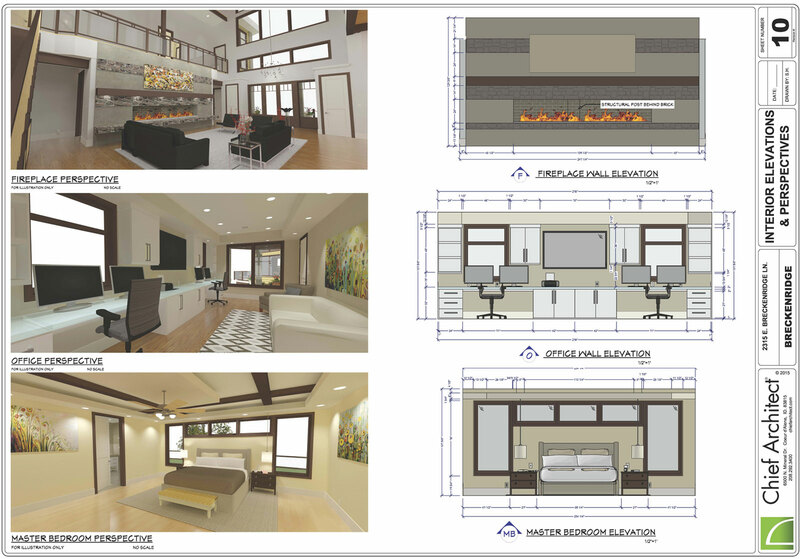 Chief Architect provides the best interior design software to experiment with your design ideas and decorating options. With the Material Painter, you can apply thousands of styles, colors, and materials both name-branded and custom. The Material Eyedropper is a fast way to replicate colors and materials from one item to another. And, the Object Eyedropper allows you to transfer architectural attributes between objects — such as a stacked crown molding from one cabinet to another. With the Chief Architect 3D Library, you can download thousands of free library objects to transform the look of any room with the latest furniture and accessories. The 3D Library includes stand‑alone furnishings as well as pre‑arranged groupings — and, you can create your own custom groupings for kitchen islands, bedroom sets or furnishings for entire rooms. There is a wide variety of wall coverings, fabrics, flooring, tiles, and accessories to make your decorating ideas come to life. Share your designs for virtual navigation using the free Chief Architect 3D Viewer app. Creating an electrical plan is an easy process with several tools to assist — such as auto place outlets in a room and a circuit tool for a complete electrical diagram. You will find an in‑depth catalog of lighting symbols that you can adjust lumens for the right light intensity. With natural lighting from the sun, you can define the time of day, time of year and location through the latitude and longitude to visualize the most realistic lighting effects with reflections, shadows, and a sunshade footprint.